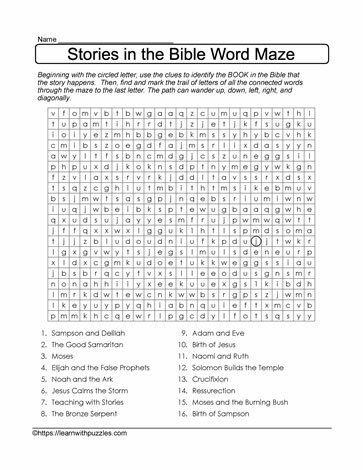 Download this puzzle to print and then solve the bible stories word maze. The two step process is: 1. determine the book in the bible that the clue belongs to; and 2. start with the circled letter and then spell out the name of the bible book. Continue until all the clues have been answered. This puzzle supports classroom use and home schooled students.